Found on a recent hike in Rocky Mountain National Park, I am somewhat mesmerized by the delicate beauty of this fallen leaf. My lovely wife Judy is my hand model. We are treated to this sight on our daily walk, which is just around the corner. An absolutely psychedelic looking tree found earlier this spring. Life is a trip. 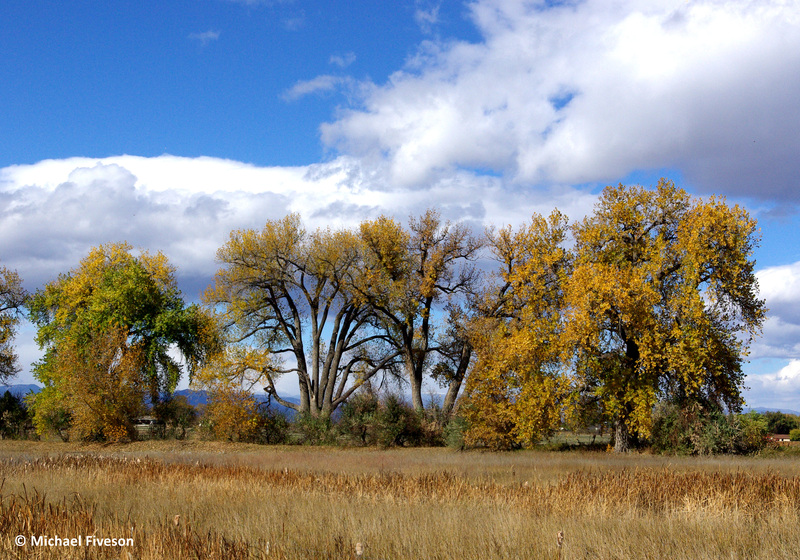 There are many cottonwood trees in my area of Colorado. Before they leaf out in the spring they appear twisted and gnarly. A few years ago I had to have the one in my backyard removed as it was old and dying. More information can be found here. Now just a memory, but what a fabulous exit. Sweet autumn, how I love you.